Home / Medical Tourism Blog / Cosmetic Dentistry- Say Hello to Mexico! Cosmetic Dentistry- Say Hello to Mexico! To have the perfect set of white sparking teeth is what many dream off. Besides looking good, it also helps boost your confidence and self-esteem. You don’t shy away from smiling or talking in public. However, for many this dream seems to be far-fetched especially if you are living in the US or Europe where cosmetic dentistry costs a fortune. You have to pay a hefty sum of money in order to get a quality orthodontic treatment. However, thanks to medical tourism the dream of undergoing cosmetic dentistry can now be realized easily. Medical tourism has grown massively over the last five years. Millions of people travel across international borders to get their desired choice of medical treatment including cosmetic dentistry at a slashing price. Cosmetic dental treatments are one of the most sought after treatments by patients seeking medical visa especially in the US with Mexico being the top destination of this treatment. Savings on dentistry in Mexico for patients coming from developed countries like the US can be outstanding. To give a rough idea, you can save up to 70% on dental treatments, including cosmetic dentistry, dental implant and general dentistry procedures, compared to the cost you are likely to incur back home. So, if you are wondering are the treatments as good and as reliable as offered in the US and Europe, well they absolutely are! This can be gauged by the ever-growing number of people travelling each year to Mexico for cosmetic treatments and the phenomenal increase in satisfied patients. In fact, Cancun today is recognized as the capital of Dental Tourism in Mexico. Here you can choose from a large variety of dental treatments. From resin filling and teeth whitening to veneers and implants to extreme smile makeover. Dental procedures and services in the hospitals recognized for quality medical tourism in Mexico are carried by experienced dentists using advanced technology and latest treatments. And the nursing staff is also friendly and caring. Another reason why Cancun, Mexico has become a hot favorite for medical tourists is that the place is absolutely breathtaking. It has a beautiful landscape and faces the Caribbean Sea. 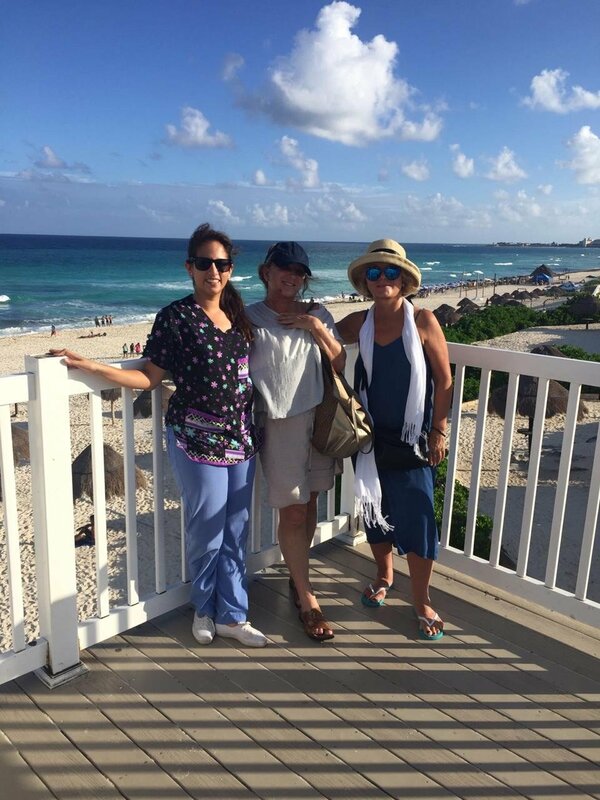 Travelers can enjoy a perfect vacation and at the same time access to quality and cost-effective cosmetic dentistry. You can return home with a set of white perfect teeth and great confidence. So, if you have been putting off cosmetic dentistry for a while just because you are an uninsured US citizen and you can’t afford to pay a big sum to get quality dental treatment, then it’s time to get your medical visa and go for a dental vacation to Mexico. Cosmetic Dentistry Say Hello to Mexico! To have the perfect set of white sparking teeth is what many dream off. Besides looking good, it also helps boost your confidence and self-esteem. It looks medical tourism is the best option in Mexico.Most of the people choose this and for gaining sparkling smile like Hollywood cosmetic dentistry is the best option.